"Islamic teachers form a school to indoctrinate your children. Your children are taken away from you 7 hours a day, 5 days a week, for a total of 180 days a year. . . . After 12 years of this, would you be surprised if your children left the Church? Would you be surprised if your children turned their backs on Jesus?" Fr. Joseph moved to Russia a little over two years ago, with his wife and eight children. They now live near Rostov the Great, about three hours north of Moscow. In today's video, Fr. Joseph asks us to consider something frightening: Forcing Christian Children to Attend Muslim Schools — While watching the video, you may discover that the danger is closer than you think. Almighty God, unto whom all hearts are open, all desires known, and from whom no secrets are hid: cleanse the thoughts of our hearts by the inspiration of thy Holy Spirit, that we may perfectly love thee, and worthily magnify thy holy name: through Christ our Lord. Amen. Greetings! This is Fr. 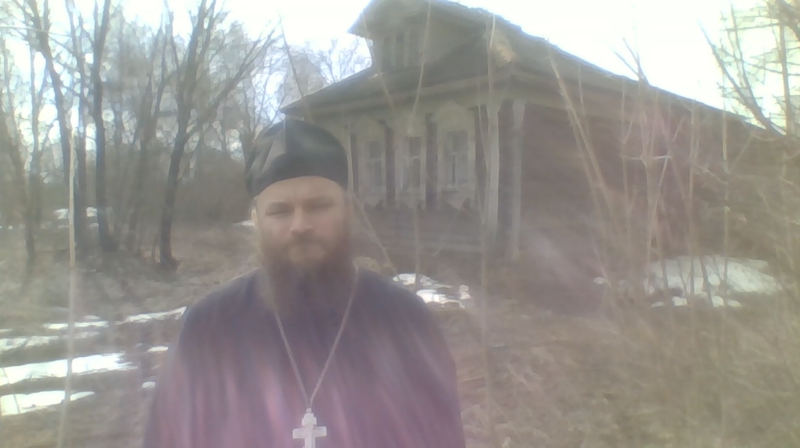 Joseph Gleason here in the little village of Ivashovo, Russia. We are just west of Rostov the Great, about 3 hours north of Moscow. Today, let's imagine something horrible. Islamic teachers form a school to indoctrinate your children. Your children are taken away from you 7 hours a day, 5 days a week, for a total of 180 days a year. For 1,260 hours every year, your kids are taken out from under your roof, and are taught to be “good little Muslims”. Jesus is never mentioned. The Bible is never opened. For 7 hours every day, your children are taught that Jesus is not relevant to most of life. Instead of learning English and grammar while studying the Bible, your children are taught English and grammar via the Koran, and other Islamic books. Instead of learning science in conjunction with the Scriptures, your kids are taught that Jesus did not create the world. Instead of being taught that mathematics reflects the glorious way that Jesus created an orderly universe, your kids fail to learn that Jesus is even Lord over math. In music class, your children sing songs. But they do not sing songs to praise Jesus. They sing Islamic songs to praise Allah. After 12 years of this, would you be surprised if your children left the Church? Would you be surprised if your children turned their backs on Jesus? Now suppose that some teachers at this Islamic school are actually “good Christians”. They attend church, and say they believe the Bible. However, the Muslim school does not allow them to talk about their faith while at work. So nothing changes for your children. They still go 7 hours a day without hearing the name of Jesus. They still go all day without being taught a biblical perspective. They are still taught that Jesus is irrelevant in day-to-day life. Would you allow your children to attend that school? Of course not! You care about your children too much to allow them to be brainwashed. Even if you had to pay money to have your children taught differently, you would find a way to do it, because you love your children more than money. Right? Yet, how are government public schools different from that Islamic school? Your children are taken away from you 7 hours a day, 5 days a week, for a total of 180 days a year. For 1,260 hours every year, your children are taught that Jesus doesn’t matter. The name of Jesus is not mentioned. The Bible is never opened. For 7 hours every day, your children are taught that Jesus is not relevant to most of life. Instead of learning English and grammar while studying the Bible, your children are taught from books that exclude Jesus. Instead of learning science in accord with the Scriptures, your kids are brainwashed to believe that they evolved from goo, and that God had nothing to do with it. In music class, your children sing songs. But they do not sing any praises to Jesus. Approximately 70% of Christian children sent to public school eventually leave the Church. 7 out of 10 children are turning their backs on Jesus. We should not be surprised, because for 12 years, we send them to a place which utterly ignores Jesus, and treats Him as irrelevant. It is also no wonder that this is much less of a problem for Christian homeschoolers. While other kids learn how to ignore Jesus, home-schooled children learn how to recognize Jesus in every area of their lives. Scripture is clear. You are to learn God’s commands, obey them, and according to Deuteronomy 6:7, “you shall teach them diligently to your children, and shall talk of them when you sit in your house, when you walk by the way, when you lie down, and when you rise up”. Teach your kids godliness from the time they wake up, until the time they go to sleep. According to the Bible, shipping your kids off to a godless institution for 7 hours a day is a sin. And your kids will be the ones to pay for it. Christian parents, do not sent your children to public school. Please, find a good Christian private school. Or even better, homeschool them. This is a much better way for your children. Lord, now lettest thou thy servant depart in peace according to thy word. For mine eyes have seen thy salvation, Which thou hast prepared before the face of all people; To be a light to lighten the Gentiles and to be the glory of thy people Israel. Would you like to see more articles like this? Our fundraising goal has not yet been met, and we would be very grateful for your help. It takes a full time staff to keep this website going, and our workers need to feed their families. 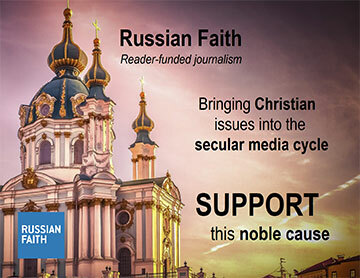 A recurring donation of even $15 or $25 per month would be a huge blessing. WATCH: What Does It Cost to Live in Rural Russia? Russia Gave the World 10,000 Saints in the 20th C. Alone! THEY Should Be Your Role Models! Why Does the Russian Church Need So Many Rituals? Homosexuals Persecuting Christians in America - Do You Feel The Walls Closing In? Is Putin Secretly a Christian Monk?